The West Midlands branch of RoadPeace held the first ever remembrance service in Birmingham for road traffic victims, which took place at St. Martin's Church in the city centre earlier this month. 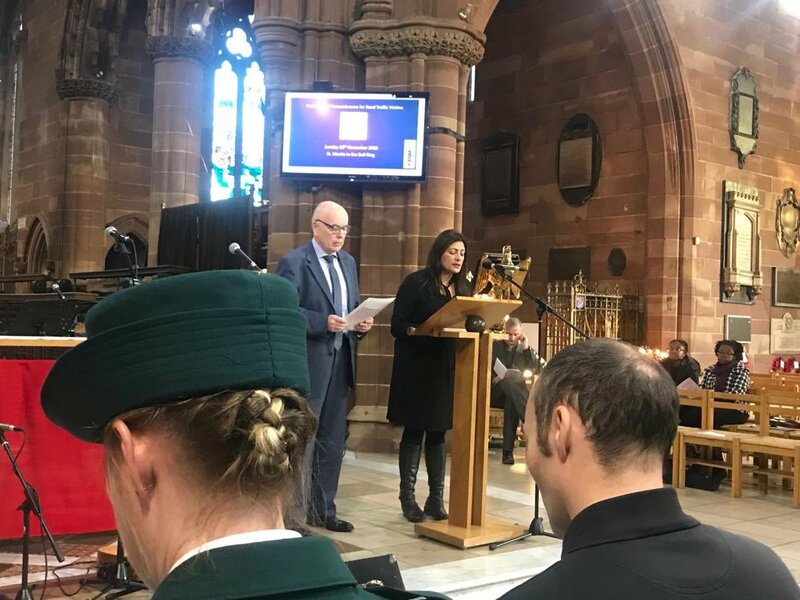 Preet Kaur Gill MP and Jack Dromey MP read a poem dedicated to the families of those killed on the road, as part of the service in memory of road traffic victims. The poem was written by Lucy Harrison, a West Midlands local RoadPeace group co-ordinator who tragically lost her brother in a road traffic incident. The World Day of Remembrance for Road Traffic Victims is a globally recognised day, falling on the third Sunday of November each year. Multiple events take place around the world, with many in the UK, including long-established annual events in Liverpool and London. However, this event was the first World Day of Remembrance event for road traffic victims in Birmingham.